In 2011, HTC launched its HTC Evo 3D phone to come with traditional features such as any smart phone, but it has a feature that made it different from the conventional design of the smart phone industry which is the camera itself. The phone HTC Evo 3D is the first phone in all smartphones to come with a dual-lens camera. The dual-camera was not yet known on smartphones, but as the dual-camera technology proved, the experience was worth watching. As expected, the Taiwanese company HTC was able to capture camera technology Dual camera can attract many users, resulting in the technology of photography is different from the camera with a mono lens much, many characteristics of the saturation of the image of the lighting or wide depth in the image and focus and other characteristics that makes the camera’s own ATV of the most important features in view of the possibility of stunning photography that result from this new technology in the phone cameras industry. This technology was able to attract attention over time to continue to cite companies and tradition of technology in its versions of smartphones to come. Lenovo also launch a dual camera phone for the first time in the front of their phone and was in 2015 when the release of the phone Vibe S1, which allowed to take pictures of Silvi with a large display and provide high quality and accuracy in photography, resulting in the production of high-definition images and saturation of lighting and details. The quote continued until dual-camera technology reached most smart phone manufacturers, indicating the importance of photography in any smartphone, and the double-lens camera was one of the greatest discoveries of the development of mobile imaging technology. Most of the phones coming into the market from Samsung, LG, Huawei and others are dual cameras, because of the dual camera technology which makes it a possibility for stunning photography. The photography of a dual camera has many advantages; these features depend on the completion of each other. One of the two lenses acts as the primary lens in photography to complement the other lens, such as saturation, wide picture frame, depth, focus and other features that distinguish it from other uni-camera phones. 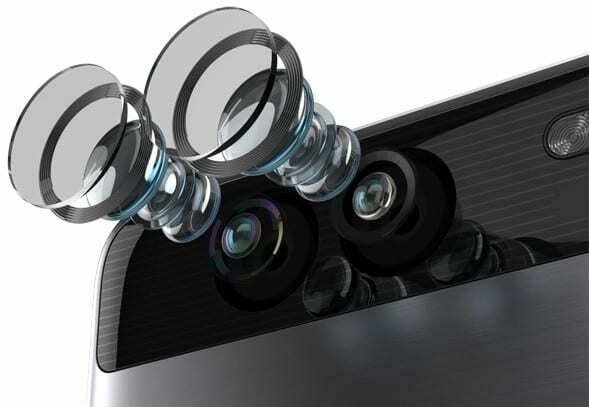 The dual-lens camera also requires a lot of technical efforts from companies to make the phone as such. It is not easy to add another lens next to the camera’s primary lens, but electronic companies are engaged in these efforts to manufacture their versions of smartphones as such, indicating. On the importance of imaging technology through the dual camera, and resulting from the picture saturated with all the different elements that give a clear picture and different depth and focus and saturation of the elements of the image, this is why users in all countries of the world are attracted to smartphones with the distinguished camera feature. Dual-lens, despite the features offered by the smartphone, photography remains one of the most important characteristics of the mobile that the user seeks to the specifications of the phone itself.